We believe it’s important to give back – and this is especially true during the holidays when it is more challenging for some families to meet their food needs. 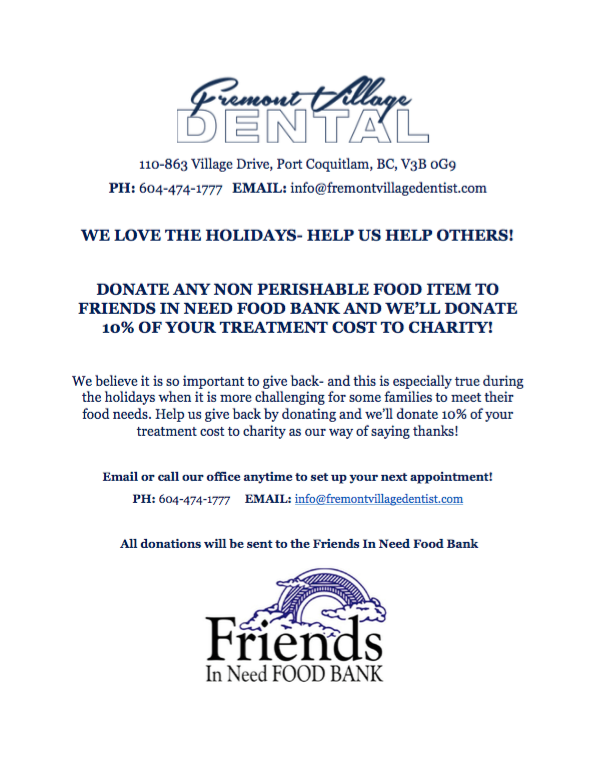 Help us give back by donating and we will donate 10% of your treatment cost as a way of saying thanks! Don’t Hide Your Smile, We Can Help!